"What do you do?" renowned Southern writer Pat Conroy asked me during his book-signing event at the Miami Book Fair, years ago. Mr. Conroy was about to sign a copy of his latest novel, which I had just purchased. "Well, I'm trying to be a writer," I replied, my voice feeble and apologetic. The two of us were not alone. Fans stood in line nearby to meet-and-greet the famous author. However, that is how I remember the event--as if, suddenly, Mr. Conroy and I had been set apart from physical reality and isolated by a single spotlight. His response to my whine was immediate and definite. 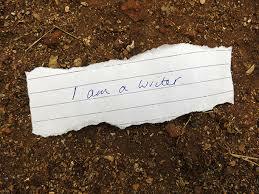 "You say, 'I am a writer.'" he ordered, signing. "I am a writer," I said tentatively. Comprehending, I repeated the words, with conviction. 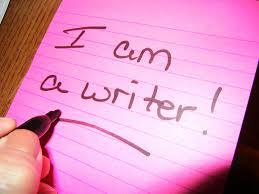 "I am a writer." He closed the book and handed it to me. He waved an index finger in my direction. "Never let anyone tell you you can't do it," he said. "Not anyone," he said emphatically. I nodded, agape. He went on. "Not your family, your friends, your boyfriend--" He reeled off a laundry list of potential saboteurs. I think I thanked him. I hope I did. Dazed, I had wandered off, drifting back into the milling throng of book enthusiasts. Absorbing what had occurred I wandered, as evening fell, warm and humid. Something dramatic and significant had happened in my life. That night, my body rode home on the Metrorail, but my head remained in the ozone. Pat Conroy had changed my life. He had given me the keys to tenacity. Nothing is more crucial to the writing life than tenacity. A writer may possess great talent, be a stellar craftsperson, and approach artistry, but none of it matters if the writer's work is left unfinished. Tenacity matters. He had given me the keys to Tena City, as it were, or to Tina City. He had unlocked my resolve. Since that conversation, I have written three novels, each published by ArcheBooks. My latest novel, A BIG FAN OF YOURS, is Volume Three of my series, "Starlight on the Gulf." The series, which also includes Volumes One and Two, A CHANCE TO SAY YES and A WILD DREAM OF LOVE, did not write itself, I promise you. These novels exist because of Pat Conroy's kind words. His righteous insight gave me permission to persevere, permission I had denied myself, from an early age, in various pursuits. Often, I had taken the advice of naysayers. Worse, I had talked myself out of goals. Now I know I do not have to give in, bow down, or buckle under to negativity, no matter its source. I am a grateful for the opportunity to pass along Pat Conroy's advice to a host of Southern writers. I believe he would have wanted it that way.